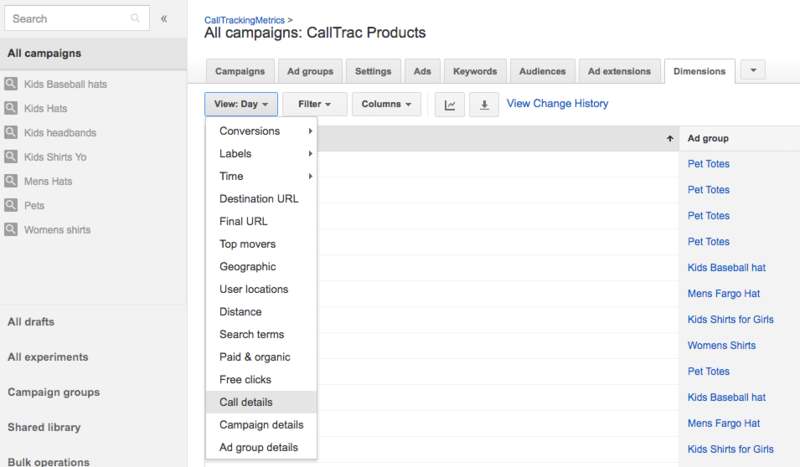 If you are using CallTrackingMetrics to track your ad extension calls but are not seeing advertising data, first check to ensure that you have set up the CTM integration with AdWords. This integration must be enabled in order for Google to send advertising data to your call log in CTM. 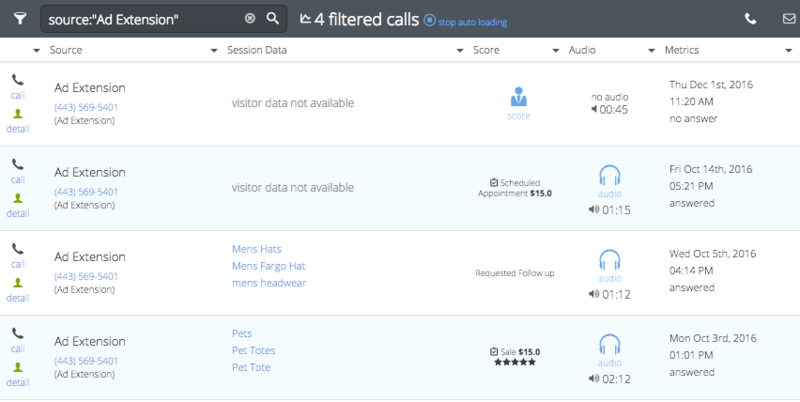 If the nine steps have been followed and you’re still not seeing call data associated with the call, check to see if Google AdWords is tracking the calls. For a call to be counted as a conversion in AdWords Google requires some proof verifying that it was in fact, a Google paid call. *We can only match campaign data to a call if Google and CTM are both tracking the call. This happens from a double forward, a Google forwarding number, forwarding to a CTM tracking number. Inside of AdWords navigate to the Dimensions tab. Make sure that your time frame in CTM and AdWords are the same. If Google isn’t reporting any phone calls the campaign data won’t pass to CTM because Google is reporting no matches. If Google is reporting phone calls and CTM isn’t, that means that the call wasn’t using a CTM tracking number. If Google is reporting phone calls and CTM is but without campaign data, this means that the integration wasn’t setup properly. Commonly, this is because the script isn’t set to run hourly. If the script doesn’t run than Googles not passing us the visitor data. Q) Why would CTM track a call from the source of call extension and Google AdWords wouldn’t? A) Google forwarding numbers weren’t available at the time of the search. For campaign data to pass it has to be a double forward – Google forwarding number, forwarding to a CTM tracking number. More about Google forwarding numbers.